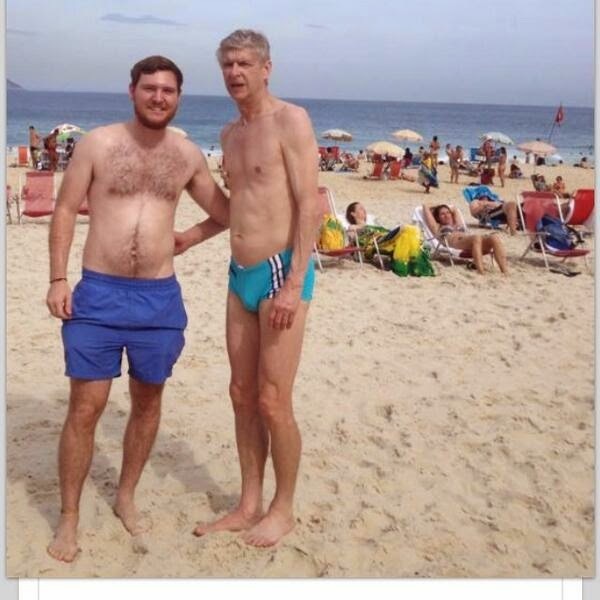 Arsene Wenger is working in Brazil as a TV pundit, but in his spare time he his hitting the beach for some footvolley. 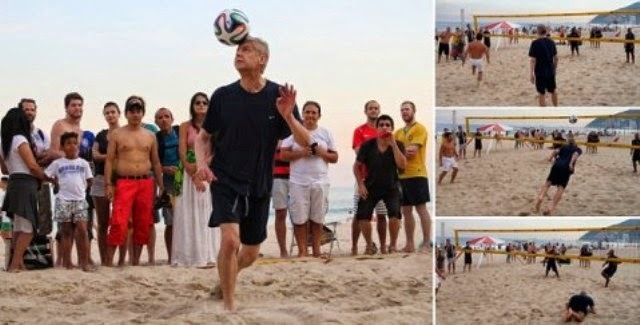 Arsene Wenger in Brazil working for a French TV station, but in his spare time he teamed up with Bixente Lizarazu, former World Cup winner with France, for some footvolley action on the beautiful beaches of Rio. 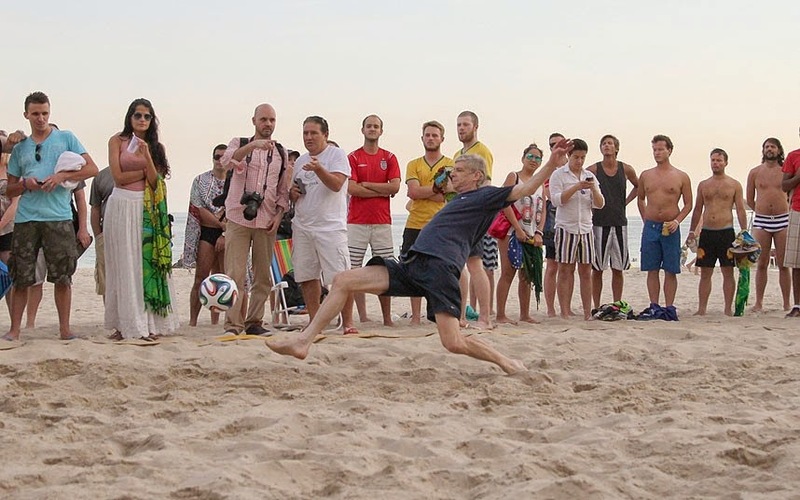 In the video below you can see Wenger imitating the incredible goal scored by Van Persie against Spain in this year’s World Cup, showing that he has some incredible footballing skills, for a manager. 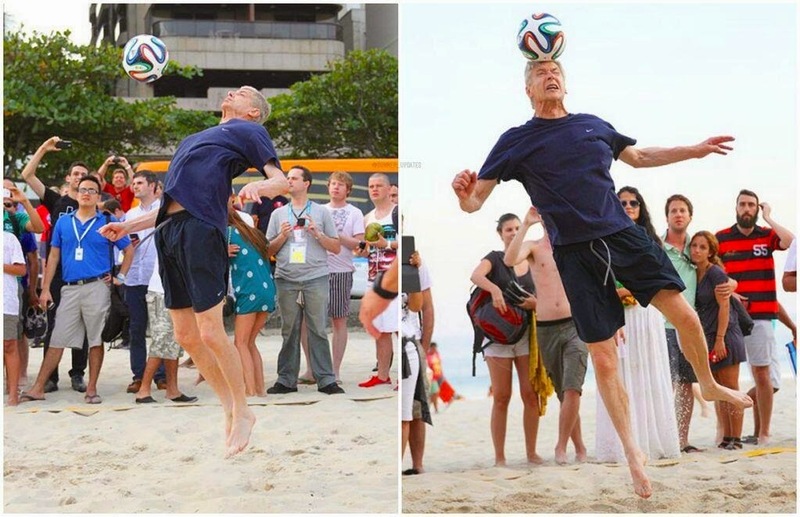 Here are some pictures of Wenger showing all his abilities with a football in the beaches of Rio de Janeiro. Later, he hit the waters for a well-deserved cooling down, he could have picked better swimming attire, those shorts leave nothing to the imagination.